British wool has many selling features that combine to make products of the highest quality. 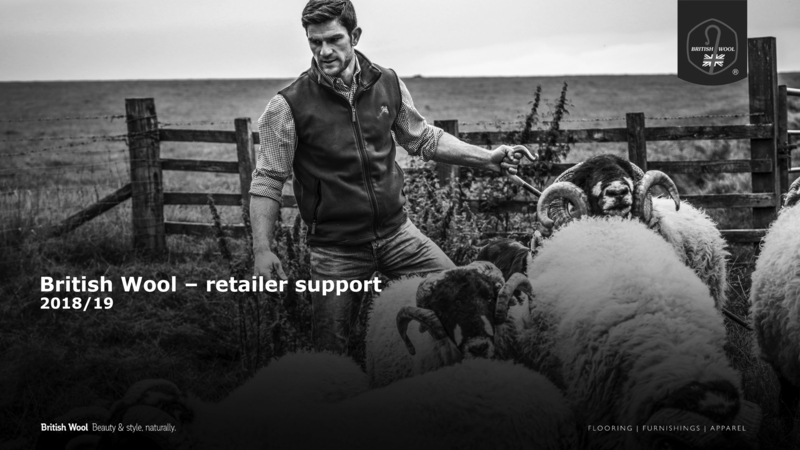 British Wool's catalogue of training material is designed to help manufacturers and retailers articulate these features and benefits to consumers. 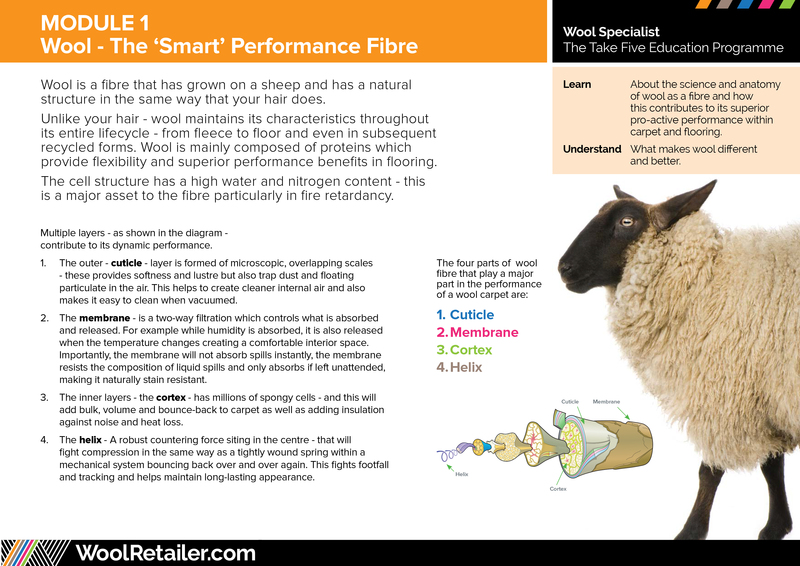 A detailed look at the selling features of wool, included the fascinating science behind wool fibre. A short guide explaining the 5 main features of a wool carpet and how to communicate these to consumers. 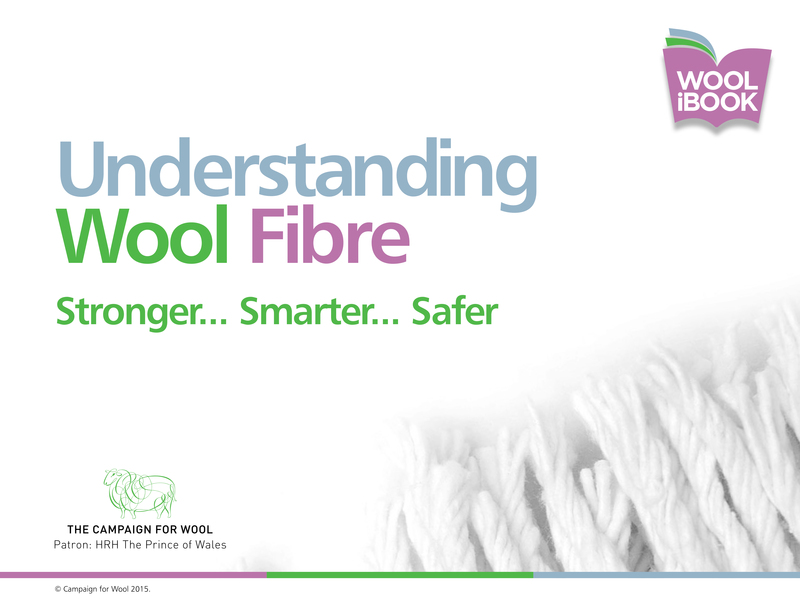 The Take Five Education Programme (Questions & Answers) – a quiz designed to test your knowledge on the features of wool. Click here to view and download the training modules. Click here to view and download the answers. If you have any questions, or need further support, please contact us.